Kyle Flanagan has collected a pair of 11th place results in the Enduro Junior category at the GP of France. Improving his times as the race weekend went on, the Johansson Yamaha Official Junior Enduro Team rider was less than two seconds behind a provisional podium result in the Junior 1 category on Sunday. Making his Enduro World Championship debut during the previous round in Italy, Kyle Flanagan has spent the last few weeks training at the team’s headquarters in Sweden. Spending more time aboard his WR250F machine, the rider from South Africa was looking forward to showing more of his potential at this penultimate round of the 2018 FIM Enduro World Championship. 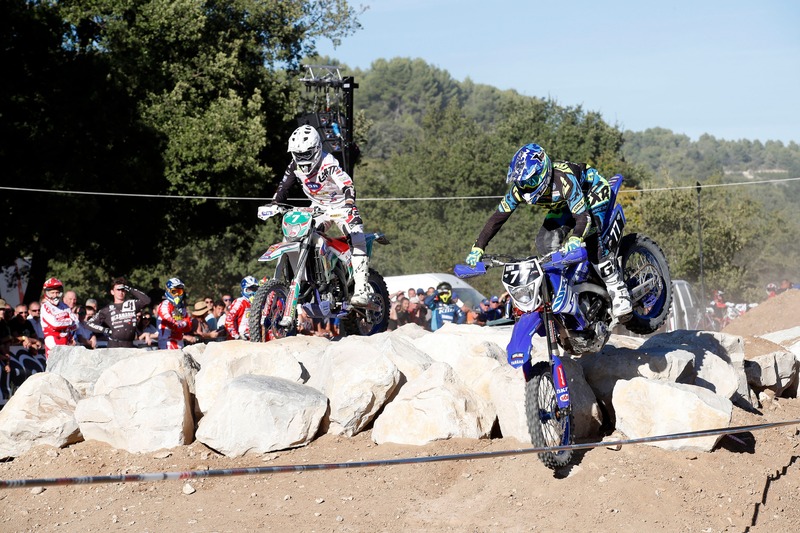 Taking place in the south of the country, the GP of France followed a sprint enduro format, with 18 tests on both days and no connecting enduro sections. Gaining valuable racing time aboard the team’s WR250F, Flanagan made some good progress over the course of the weekend. Gradually improving his pace, Kyle put in top-10 times in five tests during the opening day of racing. His best performance for the day came in the 12th and last test, where he posted the seventh best time in the category. Initially scheduled to feature a mass-start cross-country event, day two saw competitors contest another six separate special tests. Getting a top-five result in the second test, Flanagan wrapped up the day in 11th place, less than one second behind a provisional top-10. In the Junior 1 category for riders on 250cc motorcycles, Flanagan was fifth on day one and fourth on day two. Johansson Yamaha Official Junior Enduro Team’s official representative in the Enduro Youth category, Marcus Adielsson, collected 15/13 results in the 125cc class during the weekend in Methamis. The Johansson Yamaha Official Junior Enduro Team will return to action at Rüdersdorf, Germany for the final round of the 2018 Enduro World Championship on October 12/14.